Anyone who has started or managed a homestead knows the many hours spent trying to decide what type of livestock that they want to invest their time, money and energy into producing. This means that each species and breed type must be considered for their usefulness and productivity as related to the current homesteading plans. Versatility in a species is a very important part of production, and one of the most versatile species chosen each and every day for the farming homestead is the goat. The goat can offer more for the dollar than nearly any other animal ever raised. Goats come in many shapes, types and colors, while being easier and cheaper to manage than cattle or other, larger types of livestock. Goats are most often used for brush and shrub clean up, fiber, milk, cheese, soap, meat, driving, packing, and even as personal companions. They have been the livestock species of choice for thousands of years and their popularity continues to grow. Most homesteads require the clearing of brush and weeds. Often this is required to be able to use the land for certain pre-planned purposes—or even just to keep this undesirable type of growth maintained. The good news is that the goat is the perfect animal for the job! Goats prefer weeds and brush to even the most luscious of grasses. Given the choice between grass and weeds, the goat will choose the weed every time. Goats are so proficient at clearing undesirable vegetation that they are often used as fire prevention in many areas that are otherwise too difficult for people to clear. Goats nibble and remove the thick undergrowth of combustible weeds and shrubs as well as low tree branches, all of which are the most used fodder of wild fires. Goats can walk and maneuver the steepest and roughest terrains imaginable, browsing even poisonous vegetation as they go. These are the areas in which fighting fires or landscaping are the most difficult, even with tractors, trucks and power tools. Thus, goats are often called on to clear these areas before they can become fire-hazards. The main challenge of using goats for weed and brush maintenance is the problem of keeping them in the area that you want cleared and not finding them roaming wherever they please. Goats do not do well without some type of barrier to contain them. The least expensive and easiest type of fencing for weed and brush control when using goats is a temporary electric fence. Make sure the wires are spaced close enough that the goats can’t slip between wires, under the bottom wire or over the top one. The experience that our family has had with using goats for weed and brush control has definitely been a positive one, however we have found it best to take the goats back to an enclosure close to the house in the evenings. This is due to the fact that predators are more prone to attack goats at night and we have found that it is safer for the goats to take this preventive measure, otherwise there is a risk of losing a few goats to predation. When choosing which breeds to use for brush and weed control, any breed of goat will work; but beware that if you allow a dairy goat to consume this type of diet it can flavor the taste and smell of the milk from lactating does. This warning comes from personal experience—a few years ago one of our dairy does ate an entire patch of wild onions. Needless to say, no one wanted to drink her milk for a few days afterwards. Also, keep in mind that hair goats have the tendency to collect certain types of briers and vegetation in their coats if the area is very overgrown. If this happens, you will need to brush and clean the goat to preserve its quality. This can be a tiresome and difficult job if you have to complete it very often. The Angora, Cashmere, Pygora, and Nigora are breeds of goats bred especially for their hair production. They are often favorites of homesteaders that like to produce their own creations—frequently these fiber artists use the hair for spinning, spindling, knitting, crocheting, weaving, tapestries, and other fiber arts. It is also commonly used in constructing articles of clothing. The Cashmere goat produces fine, soft wool that is considered one of the finest textile fibers in the world. Cashmere goats are usually combed to collect their wool. Combing out a Cashmere goat can take up to a week to collect all the precious fibers. The Cashmere goat grows its fiber only once a year, yielding only about 4 ounces of material. The Angora goat is sheared to collect their fibers. The Angora hair is known as mohair, a long, curling, glossy fiber. Angora goats are typically shorn twice a year, yielding an average of about 10 pounds. Both the Pygora and Nigora are smaller breeds that are crossed with Angoras; their fiber type is the essentially the same as that of the Angora. The dairy goat is one of the most common types of goat associated with homesteading today. Goat milk is naturally homogenized, which means the cream remains suspended in the milk, instead of rising to the top, such as cow’s milk. An average dairy goat doe provides 3-4 quarts of milk a day and will milk for approximately 10 months; however, as lactation nears that tenth month the production rates will gradually drop off. Goat’s milk is also used for cheese making on many farms and homesteads. Cheese made from goat milk is known for its rather tart flavor; a characteristic that creates many people’s penchant for the taste. Butter is another product that can be readily made from goat’s milk. It is important to note that it requires a little more effort to make butter from goat’s milk than it does from cow’s milk. Again this has to do with the fact that the cream in goat milk remains suspended within the milk instead of rising to the top. The use of goat’s milk for drinking and making other dairy products is a great benefit for those who are lactose intolerant, as goat’s milk does not contain lactose, unlike cow milk. Therefore, there are many individuals that can enjoy milk products when they would otherwise have to avoid dairy entirely. Last but not least, goat’s milk can also be used in making homemade soap. Goat’s milk is great for soap making; its qualities are very appealing to people as it has wonderful softening and moisturizing effects on skin. These characteristics have made it a revered cosmetic ingredient for centuries, and especially popular for use on delicate or damaged skin. The great part about these milk products is that all of them can be made on the homestead. There are lots of recipes and directions for making these products available for free on the Internet. All it takes is a little effort and the willingness to experiment with milk. A couple of good dairy goat does can provide a lot of healthy and cost saving benefits to a working homesteader. The financial, nutritional, and all around natural benefits make keeping some type of dairy goat a plus for most homesteads. 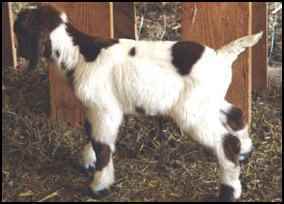 There are several dairy goat breeds to choose from that are readily available today; however the most popular and easiest to obtain are Saanans, Alpines, Nubians, Toggenburgs and La Manchas. The milk types and productions rates on these breeds vary somewhat, so be sure to check with a breeder before choosing which breed or breeds might best fit your milking plans. On our homestead we raise primarily Boer meat goats; however, we keep one to two dairy does in the herd. The reason we choose to do this is simple: we enjoy the milk, plus it can be handy to have the extra milk if we need it for bottle feeding weak or orphaned kids. We breed these dairy does to the Boer buck, it doesn’t matter to the does and the kids can then be used for meat or dairy. We have noticed that other animals on the homestead also seem to appreciate a good milk goat. At milking time a line forms near the milk stanchion and seams to wrap around the entire barnyard. Cats are always the first in line followed by the dogs and poultry. Meat goats have grown exceedingly popular here in the U.S. in recent years. The Boer breed is now the most common and the easiest to quickly identify in the United States. Its white body with colored head makes it a visual stand out in pastures. However, the Kiko and Spanish breeds are also becoming more commonplace and accessible. Meat goats have a larger frame and thicker build than other types of goats. This is due to the fact that they are bred specifically for meat production and the build demonstrates that fact. Goat meat is low in fat and is a nice tasting alternative to chicken and fish when looking for meat with lower fat levels. Goats do not store fat within the meat, rather, the fat is separated with the skin at the time of processing. This is what results in lower fat levels associated with the meat. It also means that it is not similar to mutton in taste or smell, so for those of you who don’t like lamb, do not make the mistake of thinking that goat meat is the same thing as mutton. Meat goats are a great choice for those wanting to raise their own meat while keeping their investment costs at a minimum. The initial costs of goats are much less than cattle and goats require much less feed as well. They also have the benefit of producing young twice a year compared to cattle calving only one time a year. Goats are also ready for butcher at approximately 80 pounds on average, which a good meat goat is able to attain at 5-7 months of age. We have approximately twenty-five head of meat does and we are never at a loss to sell kids. We always have more calls for sales than we have kids available to sell. When comparing cattle to goats, our personal experience has proven that we have less invested in our goats than we do in cattle and that the goat return is a much higher overall percentage. In recent years goats have become a popular means of pack transport and have proven themselves to be as good as, or even better than, horses or mules for carrying baggage and equipment. They are definitely more surefooted and user-friendly than horses, mules or llamas. Packs are loaded from above on a goat, so it’s not necessary to be able lift loads high to place packs on them. This can be a great help for people that might be handicapped in some way from lifting heavy loads into higher positions for the larger animals. It also makes it a great and an accessible hobby for children. Add the fact that goats can be transported much easier than horses or mules and you begin to see the advantage that they can offer to the backpacker seeking assistance or companionship on the trail. Goats can also be trained to drive and pull carts. Not only has packing and cart driving become a rather varied hobby for goat owners, it just helps to give another boost to the versatility of one of nature’s most diversified species of livestock. Goats also make great companions; no matter the breed, goats are curious, personable animals that love attention. Goats work well for company for both people and animals. 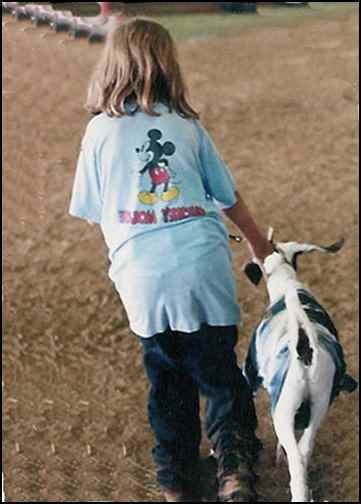 It is a common practice to use goats as companions for all types of livestock that do not do well alone. There are even many racehorses whose stall buddy is a goat. Countless people love to watch and photograph their goats just for the antics that they pull on a daily basis. We have one doe that as a kid would sit on the four-wheeler and ride around the farm with us. It was great fun and quite a show for our visitors, as well. Even today she will still comes up to the four-wheeler while the other goats run away from it. Currently, the word diversity is preached endlessly to both the farmer and small homesteader. It is generally understood that diversification has definite benefits when looking at what all we can do and produce ourselves, for less cost. While many animals work well and have a defined purpose on the homestead, goats have most definitely proven themselves to have very diversified purposes, and deserve considerable consideration when choosing what types of livestock to purchase and raise.